Over the past months, I’ve opened countless emails from frustrated players who would like to customize their tone but can’t achieve the ideal sound that they hear in their head. It’s as though the tone they’re seeking exists somewhere beyond the limits of the knobs and switches on their gear. Some of these players ask me if they should change their brand of speakers or cables, or switch to different pickups or try using heavier or lighter gauge strings. In nearly every instance, “cost” is the common concern of these players, since few of them have heaps of money to spend in their pursuit of tone bliss. Obviously, every player has his or her own guitar setup and rig. For that reason, there isn’t one universal answer that satisfies every question I receive on this subject. However, there is one aspect of tone controls that is at the heart of every guitarist’s quest for a great sound—namely, equalization. 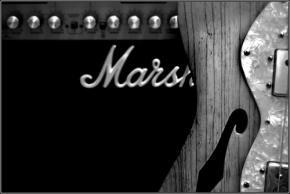 No matter what equipment you’re using, equalization can do wonders to help you achieve the guitar sound of your dreams. Oddly, not many players think about experimenting with equalizers. They really should, because equalizers provide very specific control over the combined frequencies that make up sound. Using an equalizer, you can adjust the individual frequencies of your tone, making alterations that vary from subtle to drastic. The best example of this is a wah-wah pedal, which is actually an equalizer with rotary control that sweeps through a range of frequencies. When you rock the pedal, you change the frequency of the signal in real time. Equalizers come in two types: graphic and parametric. A graphic eq divides the audio spectrum into a number of “bands” and provides a sliding volume control for each of these bands. Moving a slider up or down from its center position increases or decreases the volume of that frequency. 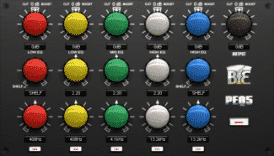 Parametric eqs use rotary controls to attenuate tone. A parametric eq allows you to sweep a range of frequencies and dial in the center frequency that you want to adjust, then boost cut that frequency with another control. Anyone who’s experimented with an equalizer knows that it can be a powerful tone-shaping device. Depending on the level of control it provides, an equalizer can transform shrill sounds into warm tones and deliver gain level compensation and signal boosting, which can be extremely useful under the right circumstances. If you’re interested in getting your feet wet, I highly recommend the Boss GE-7. It’s a well made pedal, and sells for a reasonable price at MusiciansFriend’s Clearance Explosion sales (or find one used for about $50 bones,) it doesn’t cost an arm and a leg. The GE-7 provides a high degree of tone control and can help you get the sounds you’re looking for, regardless of your musical style. I’ve found the Boss GE-7 especially helpful during recording sessions when the engineer likes the sound of my rig but wants the tone tweaked ever so slightly. It’s those moments that have made my eq pedal the most valued piece of equipment I own. If you want an effective and low-cost way to get the greatest variety of tone from your equipment, pick up an equalizer and start tinkering. They really should, because equalizers provide very specific control over the combined frequencies that make up sound. 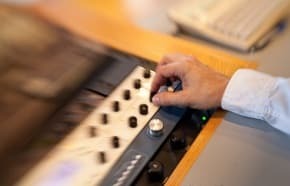 Using an equalizer, you can adjust the individual frequencies of your tone, making alterations that vary from subtle to drastic.